Digital micromirror devices (DMD) in single beam multiple intensity reconstruction (SBMIR) phase retrieval method can be used to increase the axial diversity between intensity recordings to allow an enhanced reconstruction of smooth object wavefronts. In this study, the effects of diffuser element binning size on the phase reconstruction of a DMD-based iterative phase retrieval setup was investigated. This can allow the tailoring of the illumination to the object for a more efficient phase retrieval method. T. J. Abregana and P. Almoro. 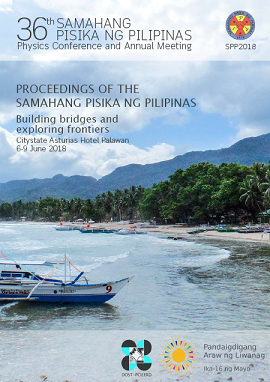 Diffuser element binning in digital micromirror device-based phase retrieval, Proceedings of the Samahang Pisika ng Pilipinas 36, SPP-2018-PA-42 (2018). URL: https://paperview.spp-online.org/proceedings/article/view/SPP-2018-PA-42.